Get the freedom you need to take your business anywhere. Forage is packed with features…but won’t weigh your site down. The code behind Forage is the culmination of 15 years of web development experience (that’s practically forever when it comes to the Internet), and is constantly working behind the scenes to help you climb to the top of Google’s results. 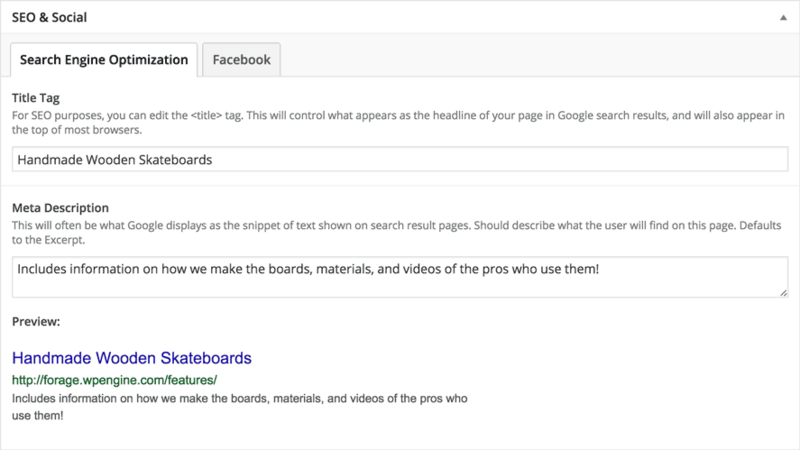 Plus, you get tools to give you the ability to control how your pages show up when they do appear on Google. There’s more to social media than just providing sharing buttons. Sites like Facebook want to know more about your page before they go and share it with every one of your fans, followers and friends. Forage adds this kind of data, for example Open Graph and Twitter cards, for you, automatically, all behind the scenes. But when you want to have a bit more control, Forage gives you that, too. 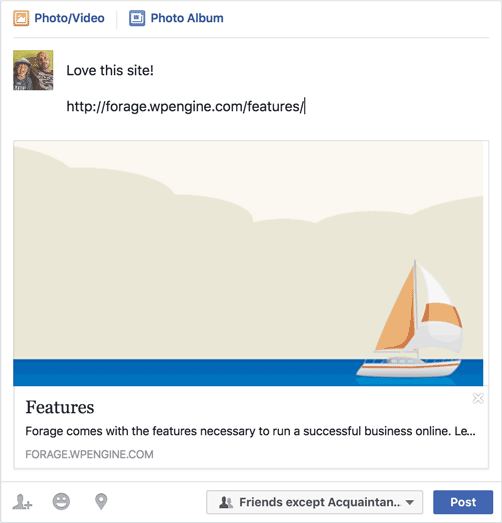 Set the text and imagery that will appear when content is shared on Facebook, Google+ and Twitter. You can also add your own social networks to the footer of your site, all of the networks you want, but only the networks you want, too. Keeping them in the footer helps people find them if they want to, but doesn’t instantly send your hard earned visitors back off to Facebook for the day. Not all content is created equally, and sometimes you need to present things in different ways. Forage includes a variety of layout options, from simple and sweet to big images, slideshows, newsletter signups and calls to action.